If you like visiting beautiful English stately homes but hate the queues, the drive, the parking and the general hassle which usually goes with such visits, then Bowood hotel, spa and golf in Wiltshire has the perfect solution: its own fleet of golf buggies will whisk you across its 18-hole championship golf course to Bowood House, home to the Marquis and Marchioness of Lansdowne, in a matter of minutes. You might arrive a little windswept but you don’t have to worry about finding a parking spot and even better, entrance is free for hotel guests. When you want to return, you merely ask at the ticket office and your mini-chariot will have you back drinking cocktails on the terrace at Bowood hotel before you know it. If your idea of a perfect summer’s day is afternoon tea (or a gin and tonic) on a beautiful lawn in the sunshine, The Manor House luxury hotel in the pretty Cotswolds village of Castle Combe, Wiltshire, is the place to be. There you can immerse yourself in the Sunday papers (or even a game of lawn chess) with nothing to disturb you but the gentle chirp of birdsong, the occasional splash from the herons fishing in the stream running through the grounds and occasionally someone coming to ask if you’d like something more to eat or drink. A circle of little hills wraps around The Manor House’s 365 acres, making the hotel feel cosy and protected from the outside world. Little seems to have changed here for centuries. The same can be said of the village of Castle Combe itself, a vision in pale Cotswold stone. From the stone bridge over the babbling brook at the bottom of the village to the 14th century market cross at the top, Castle Combe looks as if it has come straight out of a Cotswold calendar or the lid of a box of chocolates. If it seems familiar, that’s because it is: Castle Combe has been the setting for a host of films and TV series, from Doctor Dolittle and War Horse to Doctor Thorne and most recently the hugely popular Japanese anime series Kiniro Mosaic, also known as Kinmoza. 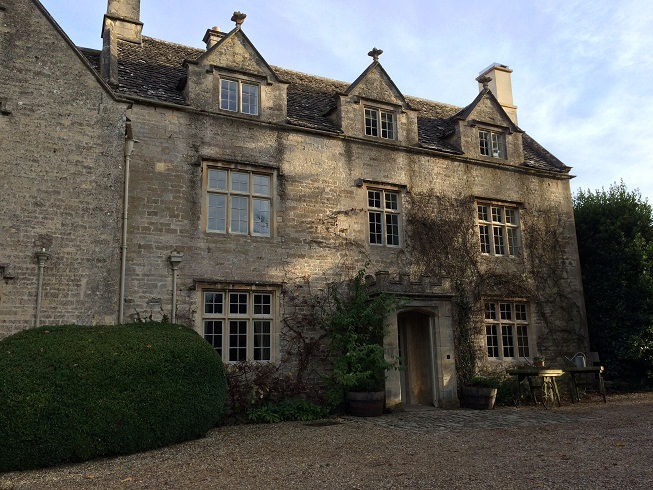 Just when you think you’ve stayed in the best hotels in the Cotswolds, along comes Whatley Manor and tops the lot. From the moment the gates opened to reveal a beautiful cobbled courtyard, the entrance garlanded by wisteria and lavender, through to the spa, private cinema, a Michelin-starred restaurant and superb gardens, Whatley Manor didn’t disappoint in any way. 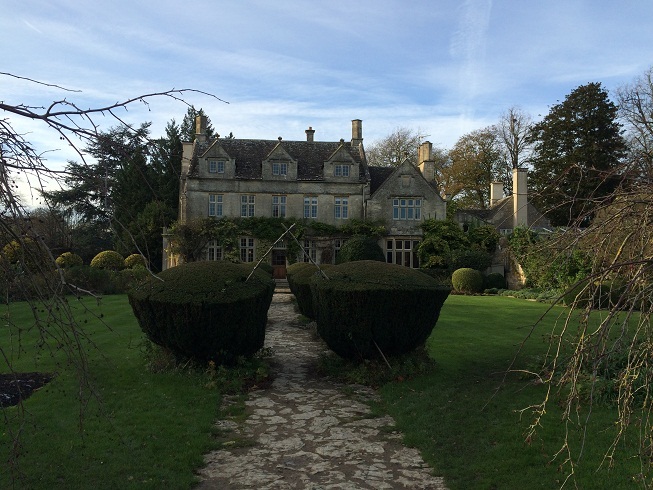 Within two minutes of arriving at Barnsley House I had completely fallen in love with it – and that’s before I’d even tried out the private cinema, outdoor hot tub or delicious food. All these things were yet to come, but the welcome itself was so cheerful and friendly that I already knew I was in for a treat. I arrived in the middle of what could be called controlled chaos: it was a wintery Saturday afternoon and a recent storm had cut all power to the local village. However Barnsley House had its own generator and so alone still had heat, power, light and all the essentials of life.